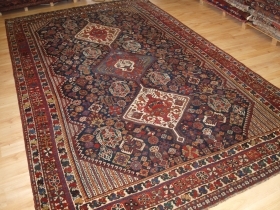 price: Special offer price.. please ask. 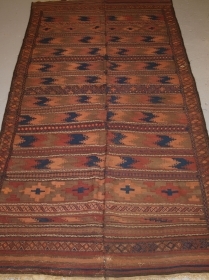 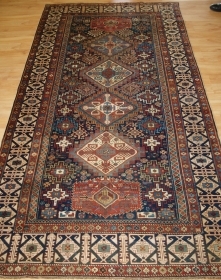 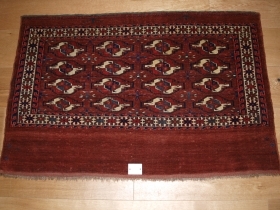 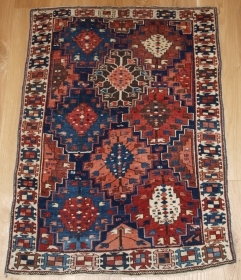 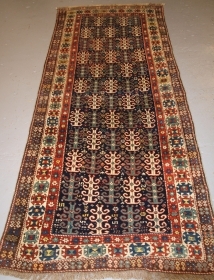 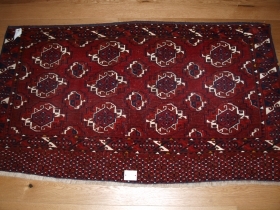 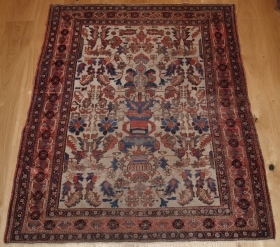 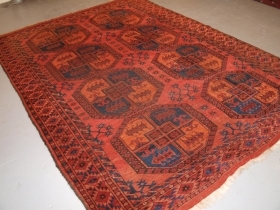 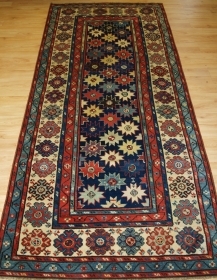 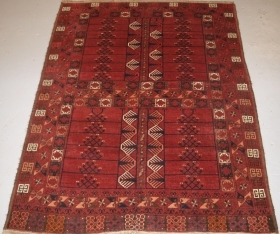 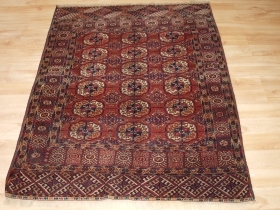 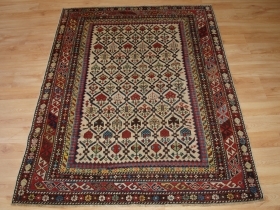 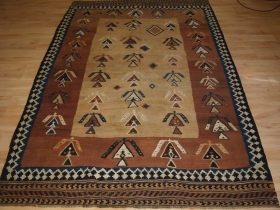 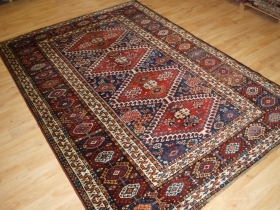 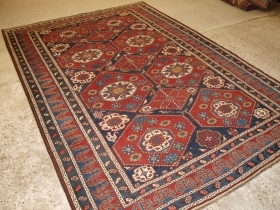 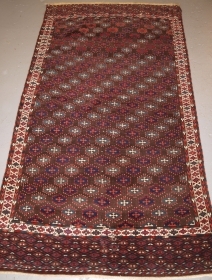 Baluch 2 part kilim, Size: 300 x 155cm. 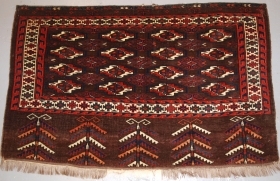 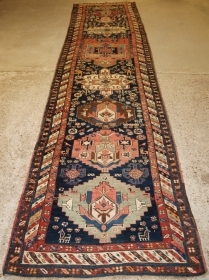 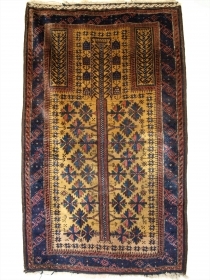 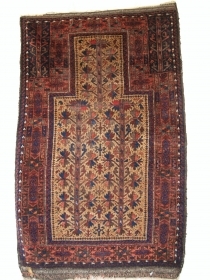 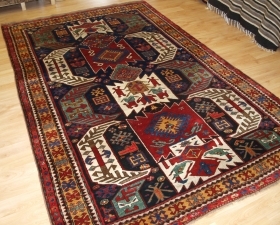 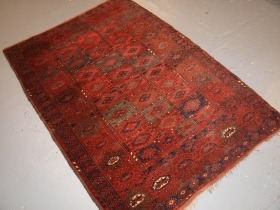 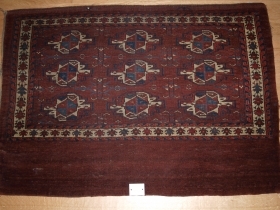 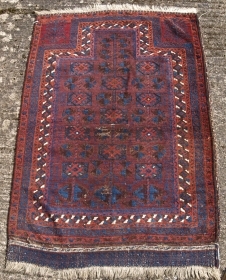 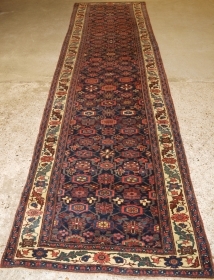 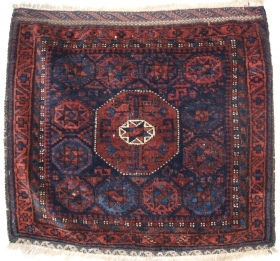 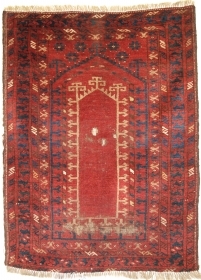 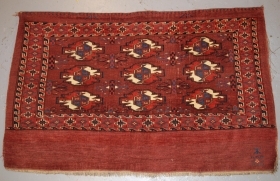 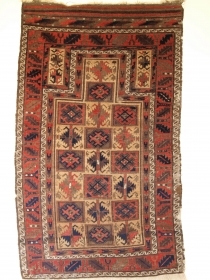 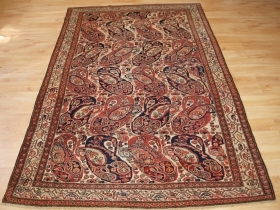 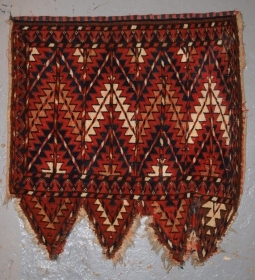 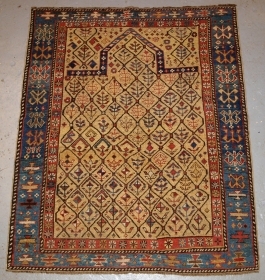 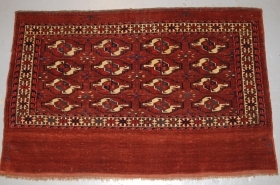 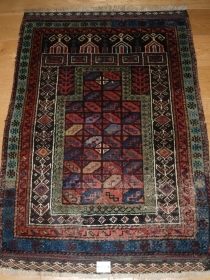 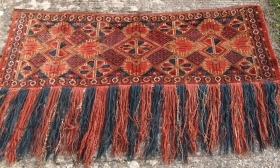 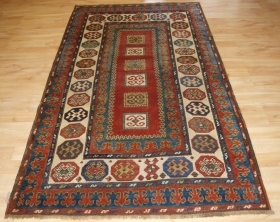 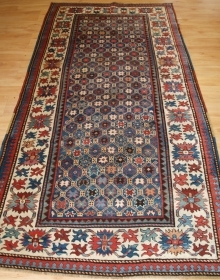 Ersari Turkmen ensi, Size: 210 x 156cm. 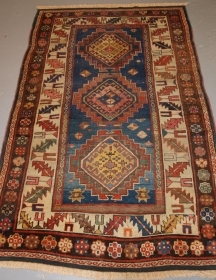 Yomut Turkmen chuval, Size: 118 x 73cm. 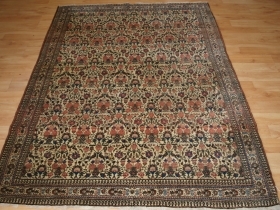 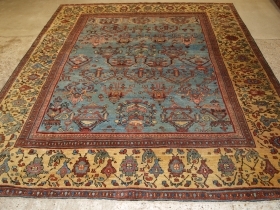 Ersari main carpet of small size with very large guls, Size: 301 x 210cm. 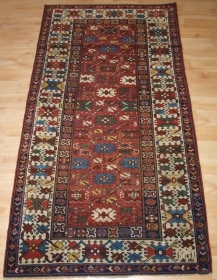 Saryk Turkmen chuval face. 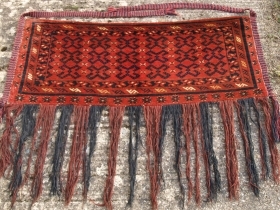 Size: 141 x 81cm. 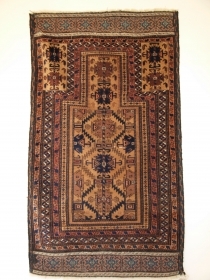 Yomut 16 gul chuval, full pile, size: 115 x 76cm. 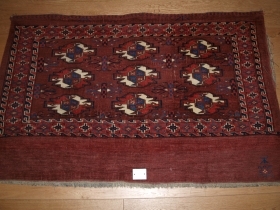 Yomut 9 gul chuval complete with plain weave back. 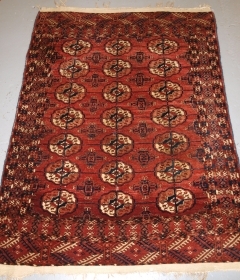 Size: 127 x 81cm. 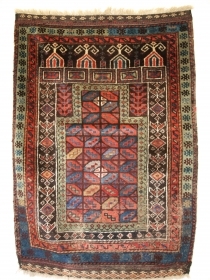 Early Yomut 9 gul chuval, size: 112 x 77cm. 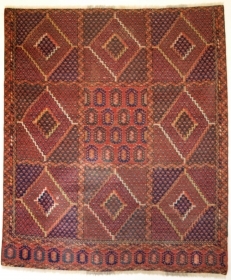 Complete with plain weave back.